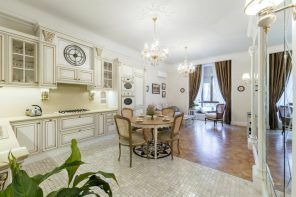 Today we`re gonna speak a word about such actual and interesting branch of home designing as decorating the small bathrooms. As you know, modern technology doesn`t stand still and many people use the trendy solution to change their lives for better, so why don`t we make the same step towards utilizing the maximum of your small bathroom? 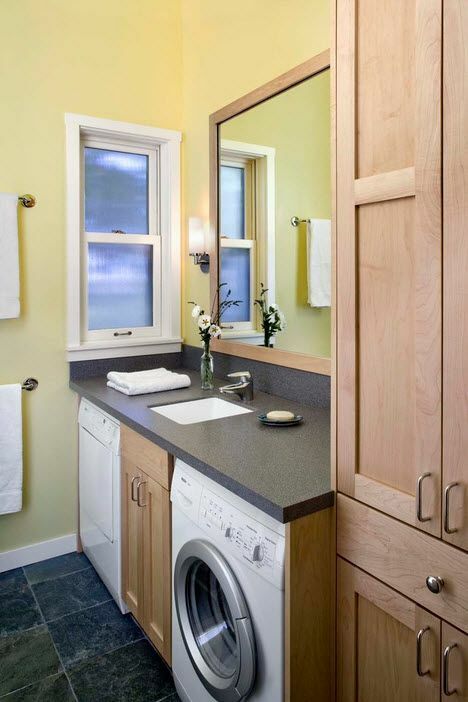 And there are a lot of small bathroom creative remodel ideas able to absolutely overturn your perception of small space, by adding some new features, appliances, finishing or sanitary engineering to it. The most actual idea is to divide all the bathroom ideas into two big sections: bright ones and using traditional white or light monotonous color themes. Single colored solutions are well fitting to the small bathroom design as we still have the ability to surprise with the form and constructional innovations. 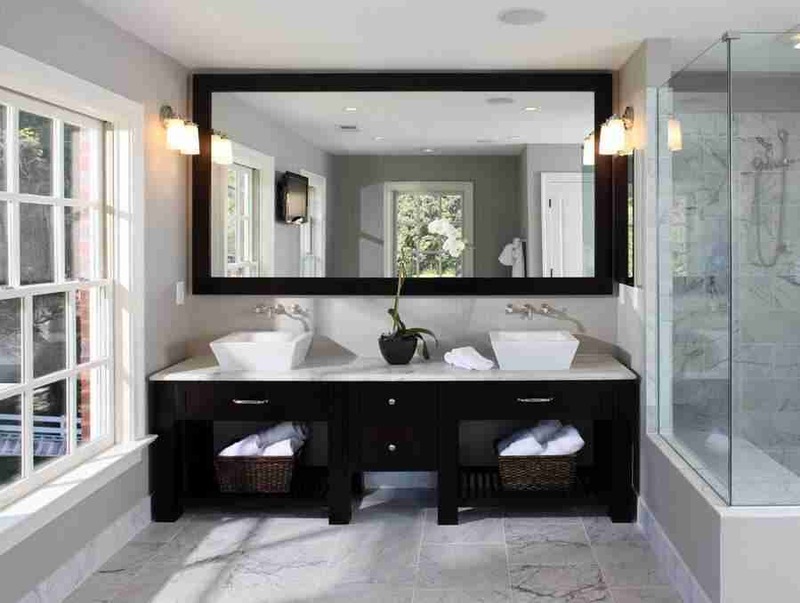 Just have a look at this nice bathroom at the photo below – it is the embodiment of how you can organize a complete two places for bathing at the same time. The whole space of the bathroom is considered as one large shower cabine with decorative brickwork, original sink and tap as a delimiter between two showers. Vintage styled bathroom is better to be designed in light fresh tones. It is a harbinger of spring and freshener of your inner strength and creativeness. Contemporary style is widely using small ceramic or mosaic tiles along with wooden materials and unusual forms of appliances. You will never go wrong discerning the contemporary bathroom interior in the room with glass shower cabine, large mirror with probably built-in tap. This unique minimalistic contemporary styled bathroom interior stunns with its courage and experimentality proposing the old townside showers with wooden floor in the brand new wrap of the extremely cozy spectacular environment. And what if you have the extra small bathroom. That’s not a problem at all with the latest bathroom ideas. You can even dare to organize a whole turkish sauna (hamam) with large shower sprinkler which immidiately create a thick vapor from hot water. It is also possible to make a small recess in the wall for your personal things and bath accessories. Lost design is also applicable for the bathroom and WC. And there is nothing better then try to combine a number of finishing materials staying within the same color scheme. And what did we speak about the unique concepts for extreme space economy and ability to allocate everything in one place? Here is another example of how we can easily combine all the necessary shower appliances and even bathtub in a tight space with spectacular landscape view through the panoramic window. 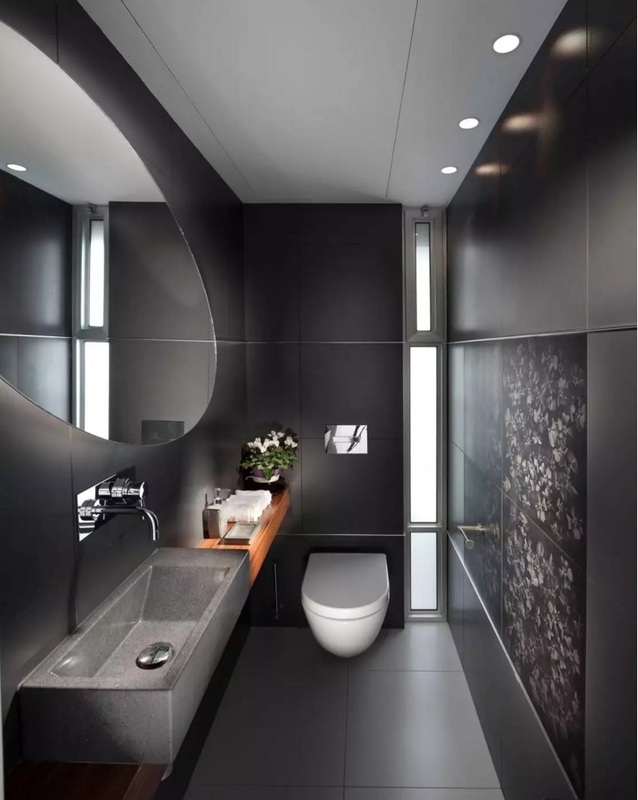 Dark hi-tech style of the bathroom is also nor less effective then the other and would find its lovers all over the world. The play of shapes and materials, solutions for appliances and visual appeal of the interior don’t give us a slight shadow of a doubt. 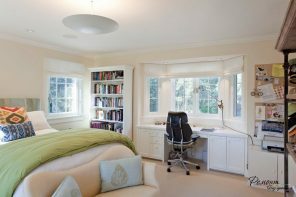 We can propose to save some precious square feet of your home with sliding doors for the lovers of brutal industrial or country styles in their apartments. This design method is striking and unusual, yet it can be no less appealing. In the continuation of arranging the country houses idea, we come up with some fresh and budget design solutions for bathroom. To organize a washing placing or the toilet, you can wallpaper the corresponding area with newspaper printed wallpaper (be sure to veneer the surface with water repellent) or to place the toliet pan in any nook of your home. Unique pink interior for the woman’s bathroom can be the possible embodiment of an old child’s drean of modern successful business woman. And don’t tell us you have unleraned how to dream. The minimalistic contemporary style is perfect to realize the dream. Bright bathroom interior ideas are implementing by painting vivid colors the accent wall. Usually designers choose the wall opposite to the sink, toilet or shower. Even the low-key grayish contemporary bathroom in the nook between to walls can be brought to the brightness with impressionistic picture. Or you can animate such interior with adding the living plants, bringing it closer to the eco style design. And what about turning your vintage bathroom into the modern creative lab for molding the most innovative ideas? 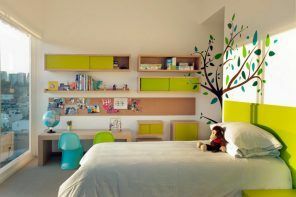 Green color is revitalizing and promoting good mood. 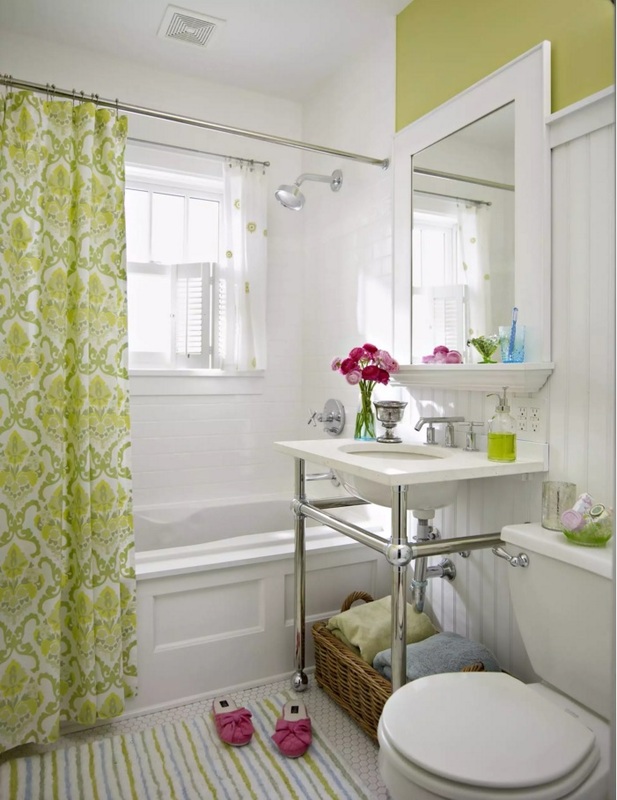 It would be very expedient to use the hues of green in any style of bathroom interior. And as you can see, it’s difficult do overdo it with this color. Greenish minimalsim is a trend of the 2016 season. Blu color always perceived in relation to the sea and water. So the use of this color in your bathroom automatically gives the impression of using the Marine style. And if you inadvertently add some other marine elements to your bathroom, this association would be dominating. 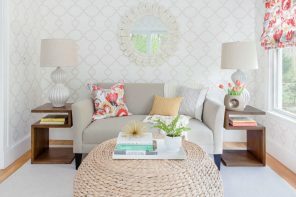 Bluish print of the wallpaper can emphasize the individuality of the interior and therefore addition some of bold experimantal decorative elements would be perceived mildly anyway. And how can we forget about the red color? It creates a really joyful atmosphere in the loft styled bathroom. Look At The Little Things It is that which is smaller, and more intimate, that often draws the most astonishment in terms of reaction….